Do you remember my latest blog article How Digital Dentistry Can Help Simplify The Digital Workflow, where you could read about how digital technologies take the dental industry by storm? In this blog article, I will dig deeper into the effects of intra-oral scanning and why the technique has earned its good reputation. I spoke to a dentist and a dental technician that use Elos Medtech’s digital dentistry solution about their, and more importantly, their patients’ experiences of the digital technique. If you ask a dentist and a dental technician about the digital development within dental care, you will most likely get two different answers. From a dentist’s point of view, the development has accelerated only in the last few years, involving digital prints, 3D-printing and intra-oral scanning. For the dental labs, on the other hand, the digital development arose already in the early nineties, starting with the scanner. Since then, many new technologies have emerged on the market, creating a high level of competition. Today, many of the dental labs have up to 95 percent digital equipment, and within the coming five years, most of the dental labs will probably go completely digital. The dentist and the dental technician work in symbiosis with each other, one dependent on the other to do their job. Therefore, the need for a digital impression technique was just as big for both parties. The dental industry had a need for a smooth technique that would produce a safe, high-quality product with a good fit. 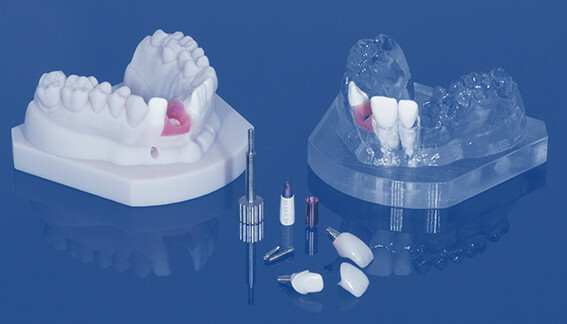 The need for a digital impression technique was also driven by pure health reasons, since the process of molding an object frees a lot of unhealthy gas. Today, the intra-oral scanning procedure is growing stronger and stronger within the dental industry. “In the dental industry, it is important to work with open systems, and not be tied to certain production flows, which Elos Medtech’s solution enables. The cooperation with Elos Medtech was very successful”, says Björn Gjelvold, Dentist at the Swedish Public Dental Service. An advantage of using digital impressions is that it allows for dentists to delegate different tasks. Now it is much easier for nurses to perform dental impressions than it was before. It also enables for dentists, in a more active way, to take part in the manufacturing process, since it is easier to communicate with the dental technicians. The digital technique also opens up for easier ways to trace sources of errors. The intra-oral scanning solution offers the dentists the possibility to connect live to the digital scanning equipment. A live connection allows for the dentists and the dental technicians to work in different cities, but yet at the same time be able to look inside the patient’s mouth. This means that the technicians can provide their expertise to the dentists straight away, instead of waiting for a moulded impression. This is a valuable opportunity since questions and solutions can be discussed and dealt with instantly when the patient is still there, instead of letting the patient go home and discover question marks later. This process accounts for a better end result for the patient. Generally, with the new technique, a larger number of delivered solutions have a higher quality. The patients that have been subjected to both the conventional impression technique and the digital technique experience a profound difference. The old moulding technique is quite messy and smudgy, having the patient sit with a rubber-like material in the mouth for fifteen minutes. The digital technique is more comfortable since it scans the teeth, which only requires a few minutes of the patient’s time. It also allows for the possibility to show the patient a 3D-impression of their teeth on a screen, right after the impression has been made. This means that the dentist can show the patient how their teeth will look like after the corrections have been made. Another possibility is for the dentist to design a few plastic teeth alternatives for the patient to try out, to see which one the patient likes the most. Another positive aspect for the patient is, of course, the products’ good-looking appearance. ”The cooperation with Elos Medtech has been extremely rewarding. We had a dynamic relationship where we learnt from each other. Elos Medtech’s products have very high precision and we find their products very useful”, says Richard Galambos, Dental Technician at DentalSyd in Sweden. There is a bright and sunny horizon ahead for the dental industry when it comes to digital impression techniques. The techniques offer the dentists and dental technicians a good chance to continue to develop their cooperation to make them even more fruitful, as well as enable a faster and more precise workflow with fewer intermediaries. The new processes will lead to end results that exceed the results from the previous techniques. As long as professionals within the dental industry are willing to evolve together with the new digital technique, there are endless possibilities to do so, as well as improving the dental techniques and visits for patients. Elos Medtech offers a digital dentistry solution called Elos Accurate™ Hybrid Base that ensures a validated workflow for your customized restorative solutions of dental implants. Please visit our website for further information. Also, feel free to comment on the article in social media. Unlike any other durable goods, teeth should not be correlated which requires preservation and restoration for longer periods. With the development of intra-oral cameras, digital x-rays and in-office crowns, and computer imaging software, dentists are able to help you visualize how your smile could be transformed. The time to create a thorough treatment plan is a must to perform and carry out an excellent restorative dentistry. Thank you for your comment, Claude! I agree with you, a thorough treatment plan is definitely a must and the digital techniques bring many advantages for dentists as well as patients.